Semi-truck drivers can’t cross state lines unless they’re at least 21. A bill backed by Rep. Trey Hollingsworth (R-Ind). would lower that to 18. “At the end of 2017 the American Truck Association put the number of 50,000 as the driver shortage,” she says. 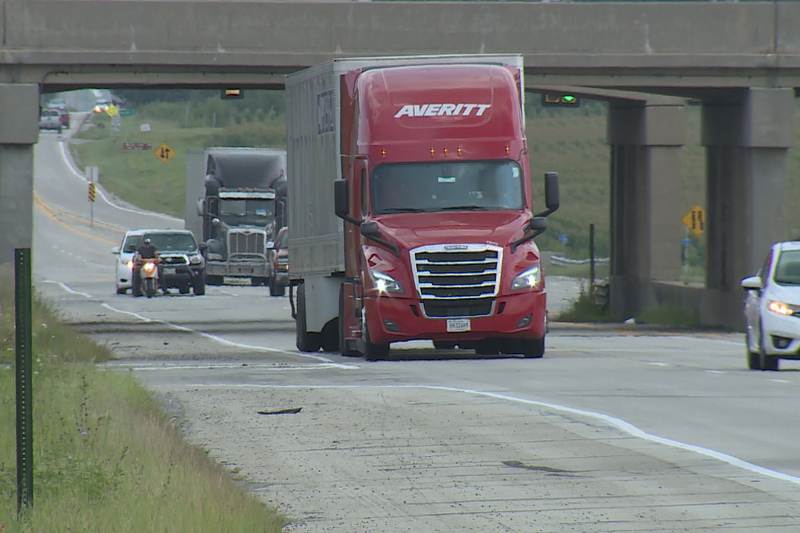 “Considering the number of hours that truck drivers work and the conditions they work under, meaning they are away from home for weeks at a time,” she says. Michael Belzer is an Associate Economics Professor at Wayne State University. He says that even when they’re on the road, the per-mile rate is still too low. Will The ‘Drive Safe Act’ Relieve The Shortage? “By the time someone turns 21, they may already be in a career that works for them so it is harder to get people in the trucking industry,” she says. “If trucking was attractive, it would be attracting them,” Belzer says. All sides agree there’s a sense of urgency to find a solution.